All month long we've been celebrating the movies of Alfred Hitchcock, ranging from martinis with Dial M for Murder to The Birds viewing party to Psycho greeting cards. 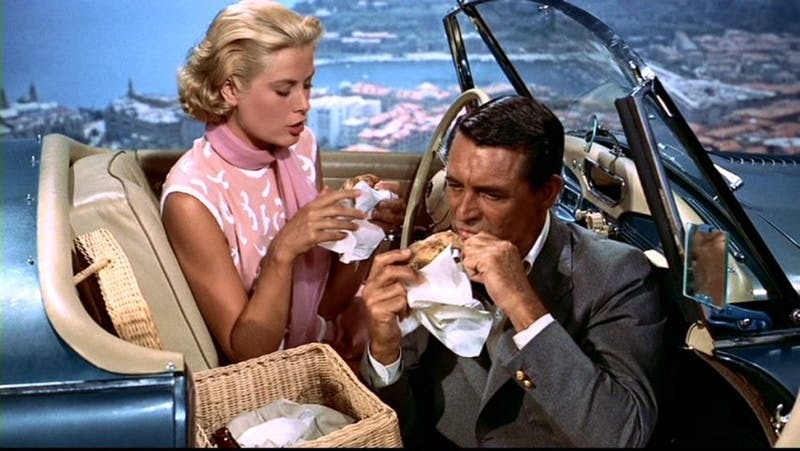 Today I thought we'd hit a double header of Alfred Hitchcock movies starring Cary Grant - To Catch a Thief and North by Northwest. Both of these are perfect for the last lazy days of summer. No need to get the kitchen hot with all of that cooking. Pick up some cold chicken and beer at the store, just like Grace Kelly does in our first movie in the double feature. 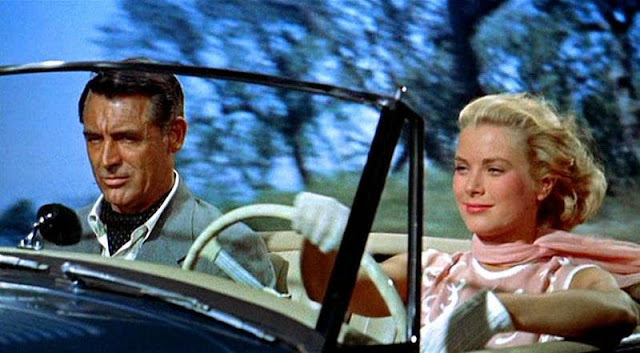 To Catch A Thief stars Grace Kelly as Grant's love interest, playing new money socialite looking for a husband to Grant's former thief with a heart of gold. The action starts when a cat burglar robs wealthy women of the jewelry on the French Riviera, just as John Robie (Grant's character) did back in the good old days before the war. The police are convinced it's Robie, and he sees no alternative than to catch the thief himself to prove his innocence. It's a race to see if the police arrest Robie, or the real burglar kills him first in this whodunnit. This movie is so easy to watch, even if you've seen it dozens of times before. 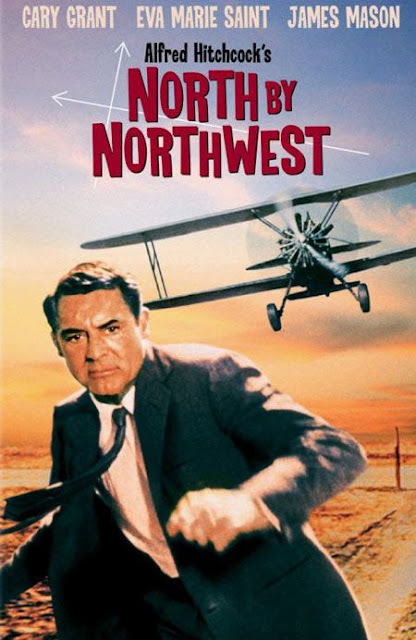 North by Northwest amps up the adrenaline as Grant's character is kidnapped when he's mistaken for a government agent. He can't convince the police that he was kidnapped, and the spies are still after him, so he goes on the run. His love interest here is femme fatale, Eva Marie Saint and she's either a lot of trouble or in a lot of trouble. Here's a fun rundown of 15 things you didn't know about the movie from Mental Floss.